Eating disorders are quite difficult to treat and are considered to be one of the most insidious forms of addiction. Unlike other forms of addiction, everyone requires food to survive - too much or too little can result in serious health problems. Treating eating disorders such as anorexia nervosa and bulimia is a process which usually requires several months of extended care treatment. Unfortunately, insurance companies will usually only cover 30 days in treatment - which experts have repeatedly stated is not enough time and discharging after a month in treatment often results in relapse. This month, Missouri became the first state to pass a law which will dictate the types of eating disorder treatments that insurance companies must cover, STL Today reports. The bill, signed by Gov. Jay Nixon, will prevent insurance companies from denying coverage or cutting coverage short for the treatment of eating disorders. The measure will ensure that both the physical aspect and the underlying mental issues are covered - barring insurance companies from cutting off support based off of a patient's weight gain. Missouri Eating Disorders Association board President, Annie Seals, says that the bill will fill in the gap between what insurance companies should pay for and what’s actually being covered, according to the article. 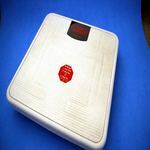 Insurance companies will no longer be able to use a patient’s weight as indicator of treatment no longer being needed. Gaining or losing weight is only one element in the treatment of eating disorders, addressing the mental illness aspect of the disease is of the utmost importance - giving patients a real shot at a successful recovery. The landmark measure may encourage others states to follow suit, according to Kerry Dolan, who leads the legislative advocacy program of the National Eating Disorders Association.